This is a simple calendar widget where the month view and today's agenda are combined together. 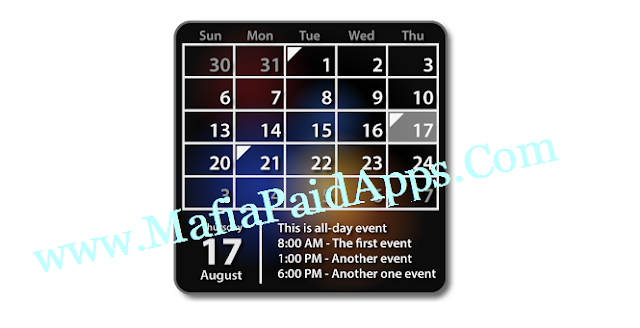 It gives you a good overview of your events at hand in your home screen. PLEASE NOTE: This is a trial version with NO TIME LIMIT. After 7 days, you will be asked to buy thelicense key to unlock more options and support further development. But you could continue use this app for free as long as you want until you decide to buy it or not. ALSO NOTE: It is NOT a calendar app. It's only a widget. To make it work you should add it on your home screen (like on the screenshots).